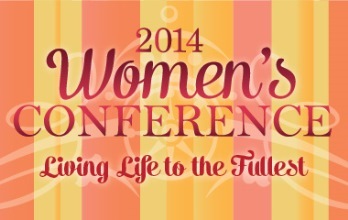 Join women of FUMCR and the local community in a time of fellowship, renewal and worship. Dr. McDonald is a prolific preacher and is known for her “storytelling” which brings the Gospel message home where it hurts, home where it heals, home where it helps. Her unique gift helps people to grasp the power behind the salvation story. 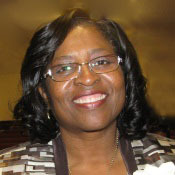 Dr. McDonald is the pastor of St. Luke AME in Garland, TX. Julie is an associate pastor here at First UMC Richardson, responsible for Group Life and Associate Pastor to ACCESS Worship Community. Julie recently completed her Master of Divinity from Perkins School of Theology at SMU and is seeking ordination in the United Methodist Church. As director of Restorative Communications, Lisa designs and facilitates educational workshops for churches, schools, and organizations seeking to learn healthier and more rewarding ways to communicate. Lisa is certified mediator, and works with families and churches who are anxious and stuck in their relationships and patterned behavior. She is an adjunct professor at SMU and El Centro, teaching interpersonal and congregational dispute resolution. She and her husband Jim have recently moved back to Dallas and are happy to be members of FUMCR. Leslie has led contemporary and traditional worship for the past 20 years. Her passion is to create excellent, relevant music that draws people to the face of Christ no matter where they are on their journey. Leslie is is an accomplished musician and performs at various venues and private parties around the DFW area. She received her BM in Vocal Performance from Baylor University and also studied Musical Theater at the University of Cincinnati College-Conservatory of Music. Led by Jenna Morrison, Associate Pastor of Adult Ministries and Pastor to 11:00 Contemporary Community at First UMC Rockwall. God Imagining You - Galatians 5:22 and then some. Using God's yardstick for you and looking at how that deepens your relationship with the Holy. 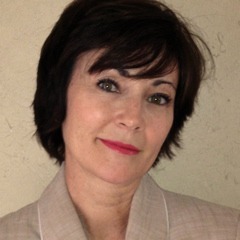 Led by Marilyn Dickson, Associate Pastor of Caring Ministries at First UMC Richardson, certified spiritual director and adjunct professor of spiritual formation at SMU's Perkins School of Theology. Everyone has that time in their lives, things are not quite going to THE plan ... how can we keep the faith and keep growing? Led by Rev. April Johnson Bristow, Pastor of Caring Ministries at First UMC Richardson. Learn and practice the benefits that yoga brings the to the mind, body and soul. Live your best life by giving yourself the ultimate gift of self-care: relaxation and restoration of the body. Katherine Galligan is the owner of Beach Mat Yoga, where she teaches yoga to beginners and more advanced yoga students. Attire at the women’s conference will be semi-casual and this workshop will contain both a short, easily modified Yoga workout and conversation about the ways Yoga helps one live life to the fullest. Register ONLINE by Fri, Oct 31!